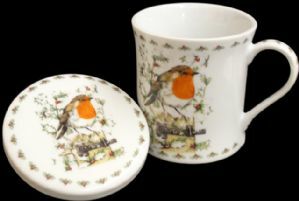 Fine China Robin Mug and Coaster Set. A lovely gift idea to give or receive. Fine China Christmas robin mug and coaster set. Already boxed so all you need to is to wrap it.